The greatest challenge a person faces is the challenge in making the right career choice at the right age. Many individuals fail to succeed in the career they choose because they do not understand what they are truly made for. Understanding your skills and abilities and making the best use of it is what helps you achieve excellence in your career. The TV and film industry are the ones that have always been in the limelight. It is a matter of great pride if you make your presence on the television. If you are a young lady who craves to make your presence as the television host someday, here are some facts you need to know well in advance. Who is a Television Presenter? A television presenter or TV host is a person who hosts or anchors fictional as well as entertainment shows on television. It is a highly competitive job or career. 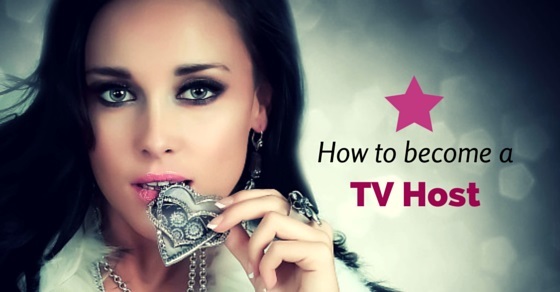 How to Become a Television Host? The following mentioned are few tv presenter tips on how to become a television presenter and also ways to become a tv presenter. Television is one of the most popular forms of entertainment. When you become a host on television, you need to understand your responsibility. You need to make sure that your skills are perfect. As you present shows and get opportunities to interact with people from different fields, you must continuously improve your speaking skills. You may have to adapt to new styles of speaking. The audience of the shows do not realize that to present shows and to host functions, what you truly require is a lot of effort, preparation and the willingness to mould yourself to new styles. If you wish to continue as a television host, you have to be outspoken and smart. While most television programmes are presented to the audiences after proper rehearsals and preparations, you must have the courage to deal with last minute variations in programme schedules. You need to be smart and outspoken to handle such challenges of a television host career. The audience only appreciates hosts who can speak in a similar style. Audiences can never appreciate things that they cannot understand. As a television host, you need to make sure that your language is well suited for the select audiences. Working on language skills does not mean you should have a ginormous vocabulary. It actually means you should understand what kind of language goes best with the select audiences. A unique style of dressing sets you apart from the crowd. Scientific study reveals that people tend to remember TV hosts for their peculiar dressing style or attire. You need to make sure that you pick attire that suits your career as a TV host. Flashy attires and gaudy makeup diverts the attention of the audiences and is really not a great choice if you are hosting a show of debates or discussions. Award functions are places where you can flaunt the most stylish attire and accessories. Hairstyle makes up most of a person’s looks and this fact is true in case of men as well as women. A unique hairstyle will keep you alive in the minds of the viewers. People remember Barkha Dutt as a bold woman news reporter and her boy cut is one of the major contributing factors in giving her the bold persona. You must select a hairstyle and attire that suits you and appeals to your audiences. Fashion is not just restricted to the film industry. There are fashion trends in the television industry too. You need to watch several television programmes. Focus on the type of programmes that you plan to host. Identify what changes in dressing and style have occurred in the last decade. Adapt to the changes and understand the reason behind these changes. Success in a career is not possible if you do not dedicate yourself to the career. You should always be willing to contribute and time or hectic schedules should never pose a challenge to you. Television hosts have to work odd hours. It is a challenging field and you need to be strong and ambitious if you wish to survive in a profession like this. Critics have to critically analyse the work of television hosts like you and give thoughtful opinions to earn their bread. They are people who have an eye for detail and any trivial mistake in your presentation style or the way you interact will never miss their eye. You need to make sure that you take their criticism in a positive light and improve. You cannot be a successful television host if you do not take criticism positively. Health is wealth and in challenging professions like that of a television host, you need to stay healthy and fit. Make sure you allocate sufficient time for exercise. Regulate your diet and avoid junk food. You should also make sure that you stay stress-free as stress prevents your brain from functioning properly. There are many different options among television shows that you may host. You need to pick the type of programme that you would enjoy hosting. You may host a debate and act as talk shows host that are telecast on the news channels. In such programmes, you need to have knowledge regarding the subjects that are being discussed. You may even choose to host award functions and competitions. These are exciting roles and you get to meet many people. You should be able to speak continuously and your presentation style should arouse interest in the minds of the viewers. The role selection should be done wisely. Pick a role that you can do justice to. If you prefer to speak subtly and present the facts, you should choose to host television shows that focus on the facts and are effective. If you enjoy modulating your voice to attract the audiences or making exciting announcements, it is better to opt for award functions and competitions. Selecting your niche can really be a challenging task. There are multiple options available and you may easily be carried away by any of these options. The best way to make a wise choice would be to conduct a thorough research beforehand. You can pick episodes of your favourite television shows and watch it over and over again. Try to observe what makes the TV host popular among his audiences. Try to inculcate these traits in you. It will help you advance as a television host. The audiovisual media is a great option when you have to research but there are some facts that you do not observe when you are viewer because you get carried away by distractions. It is best to visit websites and blogs that have information regarding television shows and programmes. They have the facts explained in greater detail. This helps you learn facts that you would otherwise miss out. You may even subscribe to magazines that have similar information. You need to make an attractive resume that has all the relevant details regarding your career. Know the qualifications to be a tv presenter and similar other details that may help to enhance your resume further. If you have hosted programmes and functions in your locality, you may add the details in your resume. These details may help you if you are a fresher. There are many impressive ways to create a resume online. You may opt to make an infographic resume adding colours and information in an impressive manner. You may even take professional help to design your resume. Search engine is an ideal place to look for useful contacts in diverse fields. There are many websites that have information regarding media careers. You can get in touch with important people in your field and start off by assisting them in their tasks. Assisting great television hosts can help you build further contacts. Staying in touch with the people in your field will help you understand the tricks of the trade. Never neglect job portals. You must make your profile on LinkedIn as that is one place where most professionals build contacts. There are several other job portals like Naukri, Careesma, Shine, wisestep and Monster that have multiple job options listed. You will surely find openings for television hosts in these portals. Most of the TV presenters start their career from behind the screens. Even after being talented and possessing the required skills like communication, presentation skills etc, jumping directly to TV host position is unreal. You will require on the process of training and guiding before presenting you before the camera. So it basically is the training session where you will be detailed about even the minute thing that you need to focus on. These are simple ways to find options in tv hosting. If you consistently search, you will surely find some nice options to begin your career as a TV host. You must not neglect social media. Join Facebook groups like Media Jobs Daily. These often come up with exciting media-related jobs and you may come across some interesting options for television hosts. Previous articleHow to Become a Model for American Eagle?